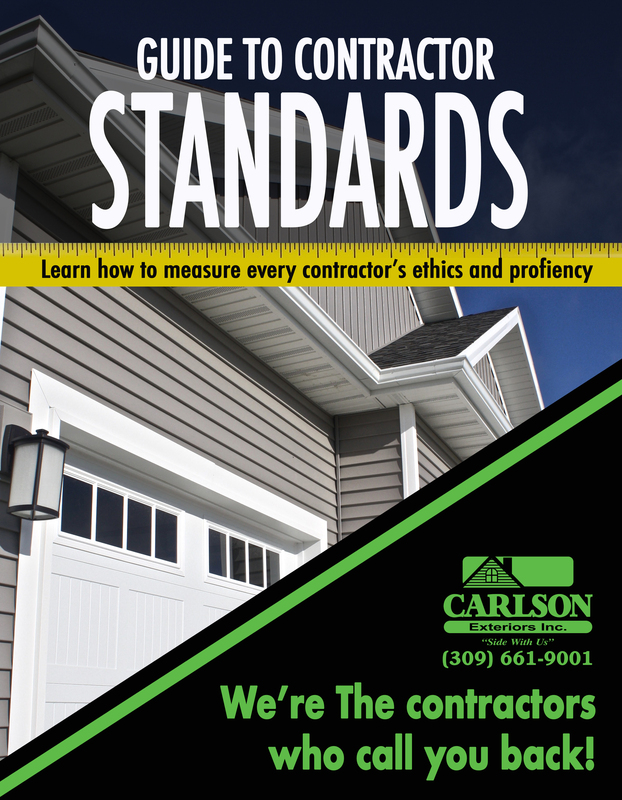 Gutter – Carlson Exteriors Inc. Tired of Mowing Around Downspouts? I know it’s a small issue but taking the time to mow and trim around your fixed downspout extensions can take a lot of extra time. Some people remove their downspout extensions out of frustration but then excess water is closer to your foundation. Or what if your kid does his mowing chores for the first time of the season and just mows over the forgotten spout extensions. 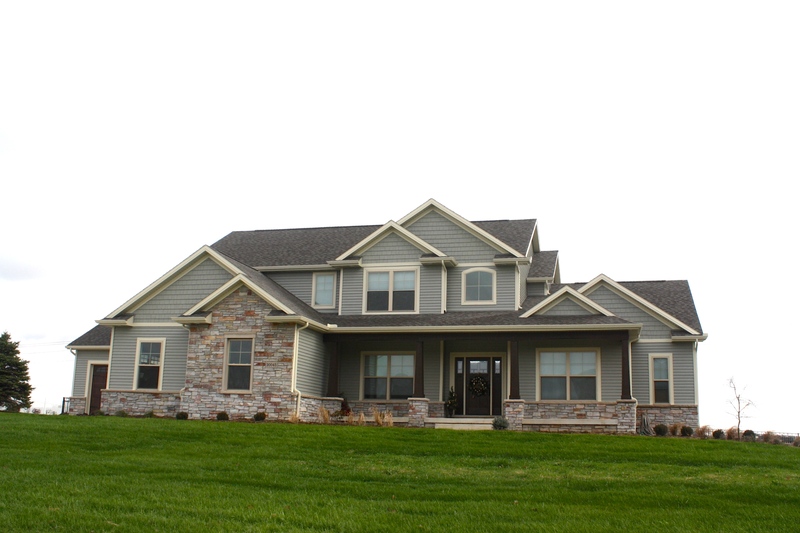 Carlson Exteriors installs all gutters and downspouts with a hinge and two strips of velcro. These minor changes make a big difference. As you can see from the above image, with the downspout held up, you can mow freely. 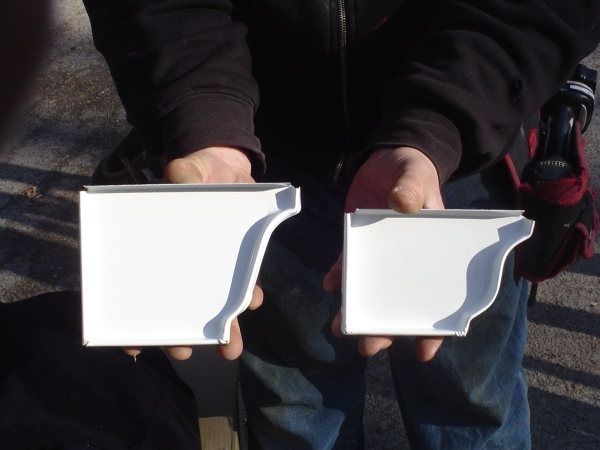 These hinges come fitted for 2×3 spouts and 3×4 spouts and can be matched to whatever your downspout color is! Now you can preserve your downspout extensions and keep your sanity while you mow. Spring showers bring leaky gutters- Wait no, that’s not right! We’ve recently had a fair amount of homeowners call because they are tired of leaking gutters. It’s usually the lack of kick out flashing which gives the appearance of a leaky gutter but often has hidden disasters associated with it. What is a kickout flashing? A Kick out flashing is a tiny but valuable piece of metal that diverts water into the gutter. It’s installed along the wall that the gutter end terminates into. The image below shows a correct kickoff flashing. It’s important to make sure the kickout overhangs a decent amount into the gutter to ensure no water runs along the side wall behind the gutter endcap. Why is a kickout flashing necessary? Kick out flashings are needed to direct water into the gutter- in these specific areas, siding is often times notched to fit around the roof section and has the possibility of letting water slip behind the siding and run down the interior wall. Beyond the obvious trouble of improper water control, if your house doesn’t have any housewrap or housewrap failure, the sheeting underneath will often be moldy or rotting without a proper kickout flashing. The images below are of a home in Bloomington, IL that had a powerful combo of the housewrap installed incorrectly and no kickout flashing. Every place the gutter butted up against a side wall, the OSB underneath was completely rotted- our Carlson Exteriors guy was able to push his hand through the OSB easily. Watch this video of to see how easily a kickoff flashing is installed! 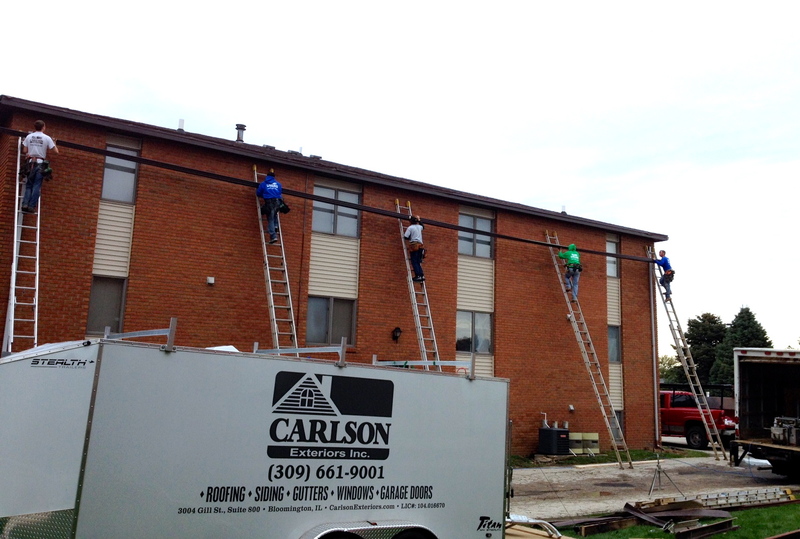 Our two gutter crews teamed up on one of our most extensive repairs of the year. It’s time to replace your gutters and you’ve been hearing all these things about 6″ gutters; so, is it worth the money to expand the size of your gutters and downspouts? What are the benefits of that extra inch? What are the drawbacks? In the past, residential homes have 5″ gutters and 2″x3″ downspouts and commercial buildings have 6″ gutters with 3″x4″ downspouts. Currently, we are seeing more residents expand their downspouts to 3″x4″ and some even install the complete 6″ gutter system. Like with any home exterior product selection, you need to take in consideration your situation (surrounding trees, roof steepness, etc. ), climate, and rainfall density. A 6″ gutter system is more durable against strong storms by being capable to carry more water but if you live in a fairly dry part of the country, water carrying capacity is not a priority of yours. If you don’t want to make the leap completely into 6″gutter system, or can’t find an installer capable, try 3″x4″ downspouts instead of your 2″x3″ downspouts. Spring is a wonderful time of year unless you are stuck cleaning out your gutters. Besides being an unwanted chore, there can be serious consequences that come with damaged and obstructed gutters. Gutters sole purpose is to divert water away from your home and roof- if this is not the case, possible problems can be mold, mildew, roof damage, siding damage, and foundational damage. Gutters filled with debris often rust as the leaves decompose. Gutters full of water can become to heavy and fall off causing roof and siding damager. Standing water at the base of your home poses a potentially large problem to your basement but mostly your foundation, causing it to become weaker over time, crack, mold, mildew, or dry rot. Make sure water is being directed away from your home. Typically older homes often have a “splash block” that sits underneath the downspout and sends the water away. Some newer homes might have downspouts that go under the ground and connect to underground drainpipes. Standing water at the base of your home can be detrimental to the foundation. 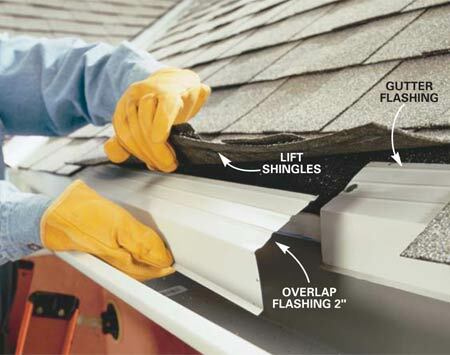 Make sure you have flashing at the eaves; this protects the wooden fascia that the gutters connect too. 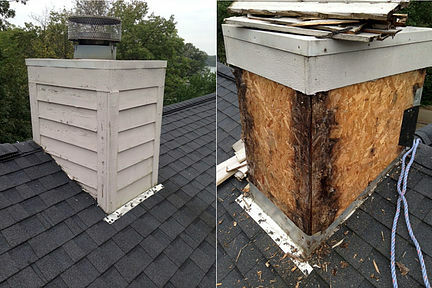 If the wood fascia does not have flashing, when a gutter gets backed up the wood sits in that water. That wood will rot, get termites, roof rot, or even insect manifestation. Make sure the gutter pitch is effective for water to flow towards the downspout. If the flow runs smoothly, water will drain instead of pool. If there is standing water in the gutters the possible problems are rusting gutters, foundation issues from over spillage, bugs, and roof/siding damage if the gutter becomes too heavy and falls. Don’t have any loose or missing gutter segments. Having uncontrolled water will lead to it going into any unwanted areas such as window trim, doors, siding, foundation. Besides ruining your gardening, this water can cause mold, mildew, rotting, siding damage- especially with fiber cement siding, crawlspace moisture, or even damage to your structural integrity. If cleaning out gutters is not your thing, think about getting some form of gutter protection. Having a form of gutter guard has many benefits: gutters only need to be cleaned out 3-5 years instead of 2 times a year. 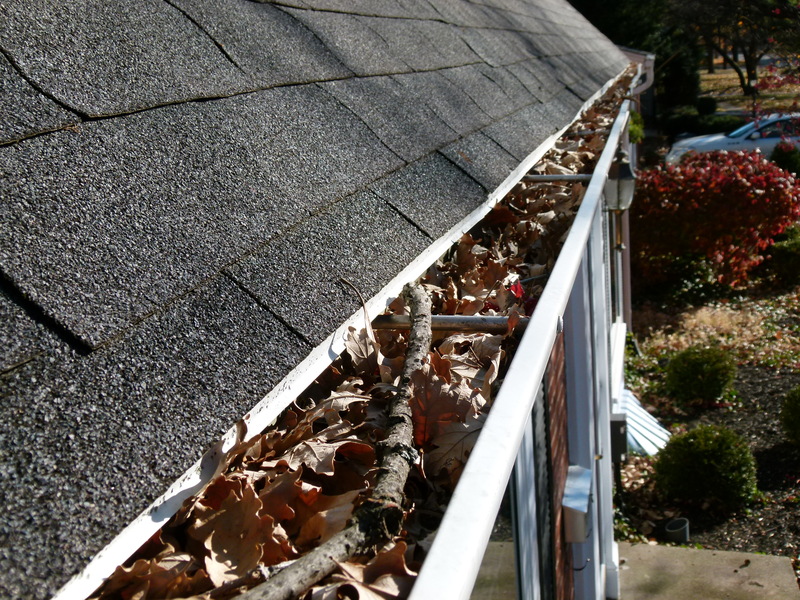 Since leaves aren’t decomposing inside the gutters, your gutters won’t prematurely rust. Water flow will be more consistent, have less to no blockage, and less stagnant water which means less breeding insects.